Set to use the Apple Watch as a fitness gadget? This is what you need to know. The Apple Watch has been branded by Apple as the company's most personal device ever. This is a subtle hint at the myriad straps and devices you can buy, but it could also be a description of the watch's health capabilities. Apple has claimed its watch can offer up a host of health functionality but how this actually works has been shrouded in mystery. Until now. Apple has finally detailed just how it is tackling the health side of the Apple Watch in a brand-new support page. 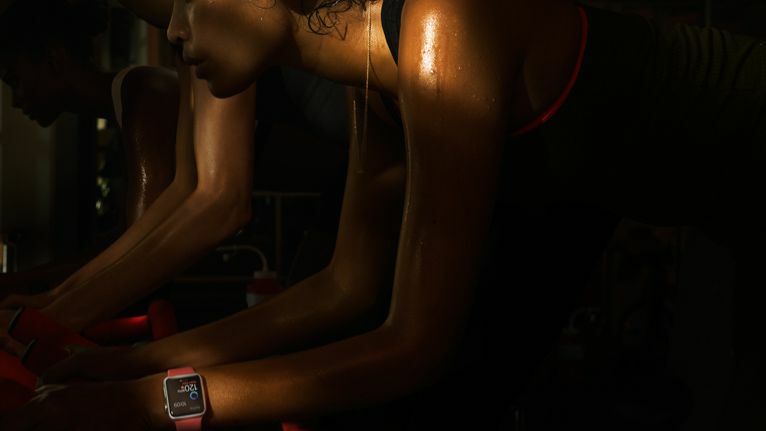 The page explains just how the Apple Watch uses its heart rate monitor to record how intense your workouts actually are. According to Apple, it will check your heart rate every 10 minutes and store this information in the iOS 8 Health app. This data then will be made available to any third-party apps that want access to it. Apple does well to baffle with science in the document. It notes that your heart rate will be taken by the use of 'photoplethysmography'. Not only his this a high score in Scrabble, it's a fancy word to explain the use of LEDs in the Apple Watch. Essentially, an LED will flash a hundred times a second to measure the pulse in your blood flow, automatically increasing the brightness of the LED if your pulse signal is weak. If your pulse is to weak, though, then maybe it's time to ditch the Apple Watch and go seek a doctor. Apple claims it has tested the heart rate monitor as rigorously as you would expect from the biggest gadget company in the world, but does have some salient information if you can't get a decent heart rate through the watch - simply tighten the strap. The rumours that Apple's next product will be the Apple Tourniquet begin right here. The Apple Watch is due for release Friday, 24 April.